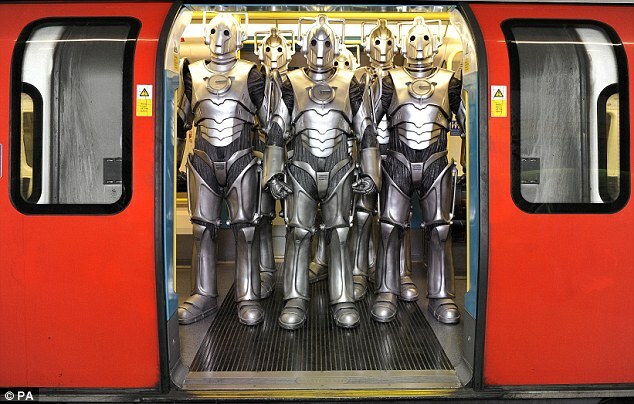 Commuters in London were greeted today by a horde of Cybermen on their way to work this morning, witnessing the Cybernetic legends storming through the capital’s London Underground inside and outside the trains and outside St. Paul's Cathedral, echoing the famous shot of the Cybermen walking down the steps in front of it in 1968’s ‘The Invasion’ (click the images to enlarge). The Cyber-stunt was to promote the newly-opened Doctor Who Experience interactive exhibition in London, which enables children to take control of the Doctor’s TARDIS and respond to the Doctor’s missions for them in a specially-built copy of the new TARDIS interior set. 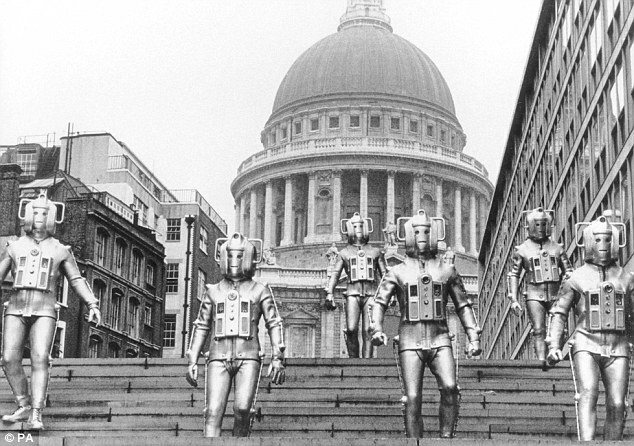 Today’s Cybermen outside St. Paul’s (left) and their sixties counterparts (right). 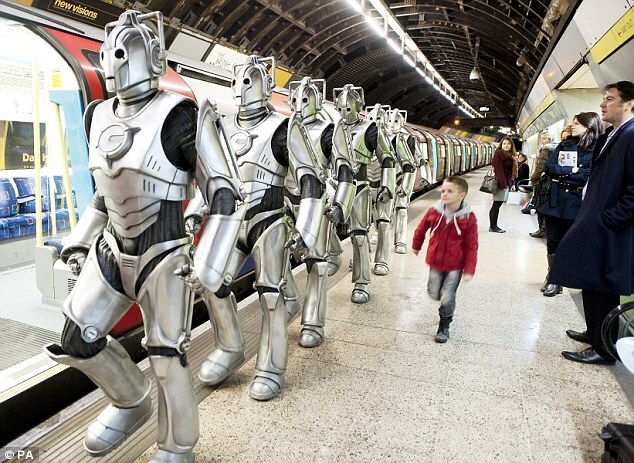 The modern Cybermen take to the trains to the amazement of onlookers! 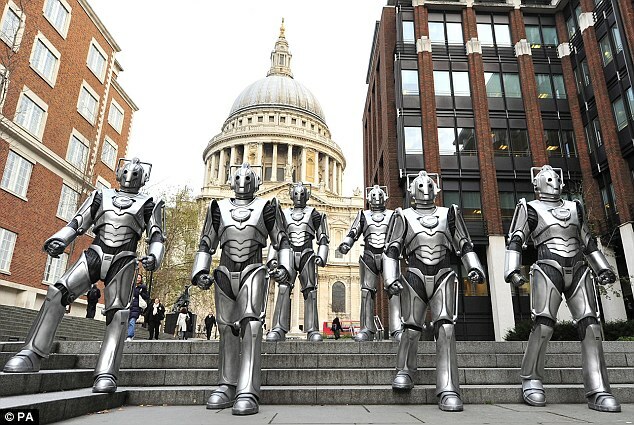 Did you see the Cybermen roaming London? Are you going to the new exhibition?